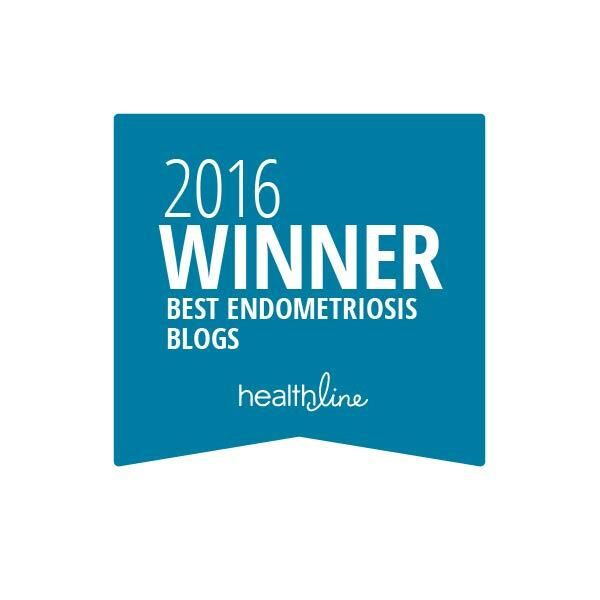 Endometriosis and THE WHAT? You mean to tell me that this disease can be found on your…spine? A disease typically diagnosed by gynecologists can grow there? Okay, now this is like some bad sci-fi horror film…But alas…it’s true. A girlfriend dropped the bomb last week that she has it on her spinal cord. So now it’s time to pick my jaw up off of the ground and hit the books. What the hell, Endo. Really? Is nothing sacred? Endometriosis on or in the spinal cord, vertebrae, or nerves is considered extremely rare. However, it has been found to be wreaking havoc for many women. It can cause symptoms of back pain, weakness, incontinence, sciatica pain, radiating leg pain, groin pain, and monoparesis (weakness to the point of near-paralysis), just to name a few. These symptoms may always be present, may only be present during your menstrual cycle, or may worsen during your menstrual cycle. On top of those symptoms, the Endometriosis also does it’s usual thing: inflammation, scarring, creates pain, etc. In seven different published case studies dating from 1968-2011, women ranging from age 26-46 complained of the aforementioned symptoms. Each was found to have Endometriosis inside or on the exterior of her spinal cord, nerves, or vertebrae; mostly in their lumbar spine, but one had it in her thoracic spine. Six of these women had surgeries to relieve the pressure in their vertebrae and nerves, as well as excise the implants and lesions. One woman did not have surgery, but underwent GnRH treatment. Six of those women stated that they were pain free after their procedures, and the seventh said she only had occasional pain after her surgery. Your physician may be able to pre-diagnose spinal Endometriosis through an MRI and lab work; however, (just like we’re used to) the only way to truly confirm the presence of Endometriosis is through surgery. Surgery : Endometriosis lesions and implants that are visible to the surgeon are excised or burnt off, and tissues are sent to the pathologist for testing and confirmation. Due to the sensitive and vital tissues of the spinal cord and nerves, complete excision of some Endometriosis may not be possible. A procedure to alleviate the pressure on nerves, vertebrae, or the spinal cord caused by the Endometriosis hemorrhaging may also be performed. Birth control, hormone therapy, or GnRH treatments are also recommended to suppress or slow the rate of growth of Endometriosis. Some women swear this has helped with their pain. Others ,not so. As a last resort, (as usual…) we hear that a hysterectomy or oophorectomy (one or both ovaries are removed) may help with recurring Endometriosis symptoms, including the back and leg pain that may be associated with spinal Endometriosis. I personally believe that a hysterectomy is not a cure for Endometriosis. There have been numerous studies, time and time again, of women with recurring Endometriosis, sometimes decades after their hysterectomies. This is terrifying. Every site, study, or webpage I went to tonight in research pointed out that these pain and neurological symptoms should be taken very seriously. Have a talk with your doctor if you wish. Your spinal cord and nerves are very finicky and need to be well tended. As usual, this blog is not meant to scare you : only educate you. And I. And there are so many reasons why you may be suffering from back pain, including ovarian cysts as a cause. 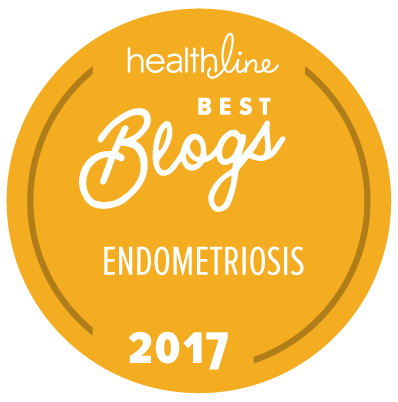 Have you been diagnosed with spinal Endometriosis? Please, share your story. It’s a whole new world to me. I have stage two spinal endometreosis it first started in my pelvis to spine . I’m still under going all kinds of “lab rat” tests but the pain is like no other I’d give child birth with no meds a 3 out of 10 in comparison. possible cause if both my sister and daughter didn’t have it – and I didn’t just learn it can present differently than just severe pelvic pain. I just wanted to hear from someone who has this on their back/spine to see if I’m just grasping at straws for answers. How could you tell you have it? I have stage 4 endometriosis and adenomyosis and I think I might have it in my spine. At times when I move certain ways it feels like I can’t move and my back hurts all the time. How did you go about getting diagnosed? Wondering if I could contact you privately and ask you a few questions? My aunt had terrible Endometriosis, and also had it in her spinal region. It was so bad that she had a total hysterectomy at age 24. She never had kids. Anyhow, I’m following in her footsteps and have already had two surgeries for Endometriosis. I’m having horrible pain and am currently searching for a new gyno (I’m in Michigan). I can’t seem to contact you via this website, would you mind sending me an email if you see this post? Thanks! How did you get diagnosed with spinal endometriosis? I often wonder if I have it as well. i also have Hashimotos, and Lupus, Endometriosis of course… adrenal insufficiency. i am a mess and only 32 years old feeling 90. i am unable to work but not deemed disabled enough to get SSD. i feel stuck. doctors dont understand. i am on cymbalta, hydrocortisone (cortef), nature throid very small amount, gabapentin which makes me even more of a zombie… sigh… i am at the end of my rope here. have no life. stuck in bed. waiting to die i ferl, this is not how life should be lived. I, too, would like to know how your spinal endometriosis was diagnosed. I have had one area on my back/spine that used to flare up the first 2 days of my period and cause extreme pain, nausea and diarrhea. Now that I have had a total hysterectomy and oophorectomy, I continue to have pain in that same are. My MRI just showed a bulging disc at T7/T8 but I’m wondering if that could have been misinterpreted and might, in fact, be endometriosis. What type of doctor do you see that is so forward thinking? Every doctor I’ve talked to about this immediately dismisses endometriosis on the spine. I’d really appreciate any feedback! Almost 2 years of back pain and sciatica getting worse with each period and worst of all with middleschmertz on right side. 2x ultrasound tech has said my right ovary looks funky and even said she could tell a cyst burst and fluid was in my pelvic cavity. Gyn says it’s all totally normal. I just had an MRI of my spine but it was 2 days past the horrible ovarian pain so I’m anticipating it all looking fine to my male osteo. How the poo do you get a Dr to consider it? Have you looked at Nancys Nook on Facebook? There you will find lists of specialist surgeons all over the world that treat rare forms of endometriosis. Nancys Nook is an excellent resource to educate yourself on what endometriosis is and isn’t. She is a retired RN nurse that worked alongside Dr. Redwine. Please look her up and you will be glad you did. I am the information I have found has saved my life. I had an MRI done for back pain two years ago and in it it showed I had a hemangioma in L1 vertebral body.. I am currently following with a gynaecologist and have an endometrium cyst in my ovary and have all signs of endometriosis.. including very bad back pain.. could this be spinal endo? All I keep hearing is how incredibly rare it is to have Spinal Endo, but I will never, ever, ever tell you it can’t be. 😉 Have a nice long discussion with your gyno. Bring studies if you need to (check out the links in my blog resources). And get referrals to the appropriate physicians who may help you determine that. It’s all about self-advocacy and pushing for answers. ❤ And keep us posted!!!! oh man, Ashley. I am so sorry and wish I had some encouraging words to offer you that you haven’t already heard, and very likely rolled your eyes at ❤ Are you able to appeal the SSD decisions and keep pushing? I have a friend whom it took four appeals until she finally received her SSD. Thank you so much for posting this info and the links. I have stage 4 Endo, diagnosed 5 years ago, with one ovary removed because I had an endometrioma large enough that caused the ovary to twist. None of my other endometriosis was removed during that surgery because it took so long to separate this from my bladder, ureter, colon, etc. I have had progesterone for the last year and a half because the pain that had been relieved came back, along with worse IBS pain. About a month ago I started having severe pain in the tailbone/sacral area, seeming to be worse when the Endo flares up. 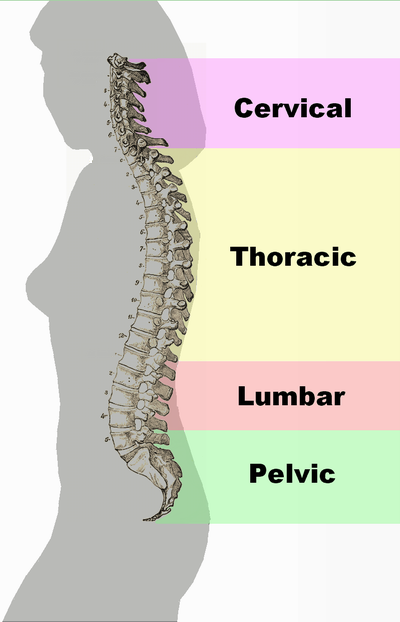 I really didn’t expect to find anything when I looked for spinal Endo, I thought maybe I was attributing normal aches & pains of aging to Endo, but it seemed a really strange place to have back pain because it’s lower than the lumbar part of the spine, which is the common place for back pain. Your info has helped light a fire under me to do more research and get some answers! I am a mother of a 15 year old daughter who may have spinal endometriosis. She has had constant back pain for over 8 months, had endometriosis diagnosed and removed in her uterus a month ago, but still has continued back pain. We saw several different kinds of doctors and 4 gynecologists before we came across one who took us seriously and would do surgery to look for and remove endo. Tricky when you are so young. May go back to orthopedic surgeon who couldn’t find anything from MRIs. Not sure if endo specialist would be more helpful though or orthopedic surgeon? Will do more research. Thank you for all this information. I was diagnosed when I was 18. I was my gyno first patient with it. So he had to do a lot of research as did I. I had to have a radical hysterectomy at the age of 21 the lesions caused everything to ball up and made it impossible for me to have children. I am 31 now and I have always suffered from back pain but now it is so bad that nothing is really helping. They said I have disgenitive disk disease but only in one spot. I see pain mgmt chiropractor and do physical therapy. But it just makes it worse. I was googling to see if it is even possible and now I know. I know i still have it when i had my gallbladder taken out the dr looked and told me it was still there. I am on 2mg of estrace and they will not go up bc of it. This is something that we should have been told. To me this is s like cancer it spreads everywhere. Thank you for your blog and what everyone has commented bc now I think this should be looked into before I let them stick a needle in my spine to numb the pain. I came across this site only today. I was looking up causes of chronic and unrelenting back pain, plus spinal damage. Now – I am reading this with no sense of surprise whatsoever, other than surprise that I have not been told I have spinal Endometriosis. I live in the UK, and was diagnosed several years ago with Endometriosis. I had symptoms as a teen (painful, heavy and irregular periods) but these were just dismissed. I had symptoms again from 2002 (in my 30s) and finally had a lap surgery in 2011. Yes! It too TAT LONG! The NHS is utterly crap at treating Endometriosis. Doctors here in the UK are utterly rubbish at spotting the disease. For years, I was told different things. I was told I had irritable bowel. I was told it was “stress”. I was told it was just “normal period pain”. I was told my symptoms were “in my head”. The way the NHS treats people who have Endometriosis is utterly insensitive, uncaring and disgusting. You are made to feel like a Hypochondriac, which is so not true. I had lived with back pain, hip pain on the left side, pelvic pain, anaemia due to heavy periods, bloating, cramping, upset stomach, nausea and vomiting – all which were worst during my periods – since early in 2000. I first started reporting these things to my GP in 2002. REGULARLY. I had to keep going back to the doctor over, and over again. Their lack of understanding, and complete inability to work out what was wrong, leaves me aghast! To this day, I cannot get my head around why it took my GP until 2006 to refer me to a GYNAE! I did not get the correct treatment until 2011 when I had my first lap surgery. This was in BLACKPOOL (so anybody reading this who is treated there – BEWARE and move somewhere else because BLACKPOOL are TOTALLY INCOMPETENT). During this, they found Endometriosis and also claimed to have “removed it all”. They did NOT tell me where the Endo was, or how bad it was. They also DISCHARGED me the DAY OF THE SURGERY even though I was puking my guts up. Less than a week after the surgery I ended up in A&E because of extreme agony in my lower back, and inability to bend, stretch, straighten myself up, or turn. I was finding it hard even to walk. I got told the issue was muscular”. I was given ORAL MORPHINE. This occurred a further two times, and on one occasion I ended up in Hospital and was discharged only after seeing a Physiotherapist. I continued in pain after the surgery, and was finally referred to an Endometriosis specialist (BLACKPOOL were NEVER specialists in Endo, so they by law, should NOT have done my surgery). I ended up having a further FIVE surgeries, including RADICAL EXCISION of deep infiltrating Endometriosis nodules from my left utero-sacral ligament. My specialist told me that the surgery done in Blackpool had a)missed these nodules, b)buried them under a load of scarring, and c)caused adhesions. I did get a bit of relief from further surgeries, but even after the radical excision, my symptoms slowly returned. It is now three years since my last surgery. I have been told by surgeons that they do not wish to risk further surgery due to risk of damage. I had an MRI scan in 2015 that showed damage and compression to discs in my lower spine, and damage to my left sacro-iliac joint. This damage was passed off as “age related wear and tear”. I do NOT think this is true, because I have only had these problems since having Endometriosis and surgery. Besides, I am only in my 40s, so I struggle to see how I could have such extensive spinal and hip joint damage. Also, the hip joint damage is ONLY ON THE SIDE WHERE I HAD ENDO SURGERY. I still have very heavy periods, bad enough to cause anaemia. I still have bowel and stomach cramping during my periods. I still have frontal pelvic pain. I still have lower back pain. I still have pain that makes me feel I need to pee lots. I still find smear tests agonising. I HAD ALL THESE SYMPTOMS WHEN FIRST DIAGNOSED WITH ENDOMETRIOSIS. I also have pins and needles in my left hip and leg when sitting. If walking long distances I get agonising hip and back pain. If I press hard on my lower back, right on where my spine is, these symptoms ease. I cannot lie on my front, because I cannot get up from this position – the pain it causes in my back and spine if I try to is agony. So, I firmly believe I have spinal Endometriosis. The signs all seem to be there. I have even seen Physiotherapists, who offered STEROID INJECTIONS IN MY LOWER SPINE. Why offer this, if they do not accept there is a problem? The impression I am getting is that they KNOW THERE IS A PROBLEM, but are UNCERTAIN WHAT IS CAUSING IT.